It is never too early to start planning for winter. If you run a business, school or any other organisation, winter planning is essential. In the UK, we never know quite how cold and problematic a winter will prove to be. Snow and ice can cause untold disruption, and if you are not prepared, you can end up suffering the consequences. 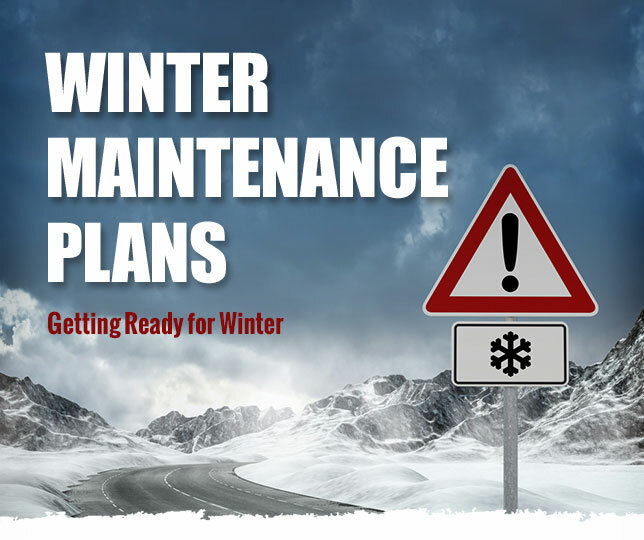 getting ready with a winter maintenance plan. 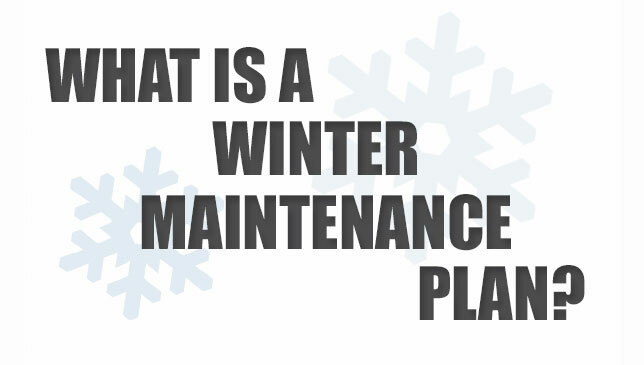 A winter maintenance plan involves analysing the potential risks and problem areas that your organisation could face during the winter months, and coming up with solutions in advance. These may include taking action before winter arrives (e.g. stocking up on grit), or deciding what will you do in the event of certain problems arising (e.g. staff being unable to travel into work). You may also wish to find a gritting service or snow clearing contractor in advance who will actively maintain your property should adverse weather arise. Creating such plans is important for many reasons. 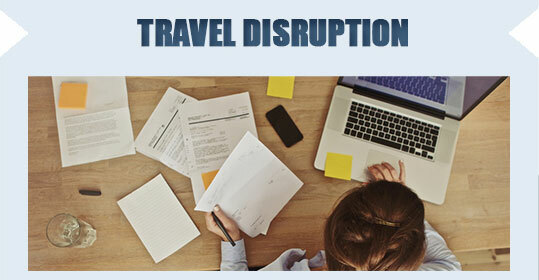 By preparing properly in advance, you can improve the safety and comfort of your employees or students, ensure that disruption is kept to a minimum and you can also save time, hassle and stress by having a plan of action in place. When thinking about your winter maintenance plan there are a number of things to take into consideration, some of which may be unique to your organisation. First of all, consider the safety risks that cold weather can cause. This could involve ensuring you have enough grit stored away to cover the staff or customer car parks, footpaths or the school playground, and this is something you can take action on now. If snow is particularly heavy, a snow ploughing service may be required. You could start your search by speaking to ploughing and gritting services in advance and deciding on your provider should the need arise. In doing this, you can simply call them directly when you need their services and therefore save time, or agree that they will monitor the weather on your behalf and provide a service as necessary. If your organisation relies on vehicles for any aspect of its operation, it is a good idea to factor these into your winter maintenance plan. This could be investing in equipment that you may need, such as snow tyres for all company cars, or ensuring that all vehicles are checked before the onset of winter. You should also make sure you get your heating system checked over in advance, perhaps towards the end of summer. You want to make sure that it is in good condition and avoid any potential problems arising when you most need it. You could also arrange to have a plumber check over the pipes in your building to make sure there are no problems that could lead to burst pipes during the cold weather. You may even want to insulate the pipes to reduce the risk of them bursting. It is a good idea to come up with some contingency plans in certain situations. For example, what will you do if key employees cannot travel in because of heavy snowfall? You may want to implement a system whereby they can work remotely from their homes, and this will take some preparation such as investing in the necessary technology and software. It could be useful to ensure you have up-to-date telephone numbers for all your staff in case you need to contact any of them. Keep these on you at home in case you cannot get to the premises yourself. If you are worried about how the winter could potentially affect your organisation, having plans drawn up in advance can give you peace of mind and help you to deal more effectively with any situations that arise. So start planning your own winter maintenance plan well in advance and prepare properly for the cold weather.